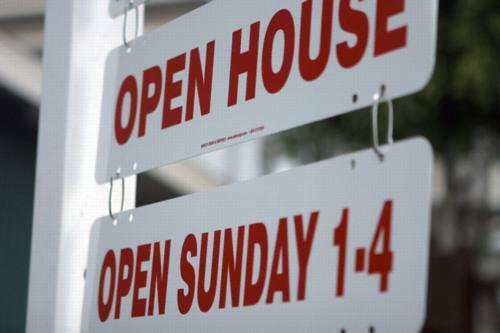 The project essentially encouraged local congregations to invite people to open houses on the last weekend of September. The denomination is still receiving feedback from the congregations, but initial indications are that the effort was successful — both in bringing in new people, and in changing some things in the congregations themselves. Adnams, Director of Communications for Lutheran Church-Canada, told CC.com the project developed out of a concern that had been growing for a number of years. For instance, when Adnams taught media training courses for pastors, he would often ask whether anyone who lived in the immediate vicinity of their churches ever came to services. No hands would go up. Adnams became convinced congregations needed help connecting with their neighbours. Based on the premise that “everybody believes something,” the effort began in the spring of 2007 with a website called www.whatyoubelieve.ca. This site asked people to fill in a survey stating what they believed about God, Jesus, the church, life after death and religion/spirituality. The site then directed responders to what the Lutheran Church believes about these topics. The church used strategies such as banner ads on the www.canadamovies.net website to direct people to the survey. One finding was that half of those not currently attending church said they would be “likely” or “somewhat likely” to attend church if someone invited them. Another finding was that people were far more interested in what churches taught, and whether church members would be friendly, rather than in issues such as parking or music. The materials were deliberately designed to raise no barriers for non-Christians. They stressed connection and community, a commonly felt need in the postmodern age. The materials did not mention Jesus; that would come at the events themselves, when the local churches explained what they believed. Among other resources, the denomination also arranged for churches to buy ‘Story of Jesus for Children’ DVDs to hand out at a discount price of three for $10; churches purchased 13,000. The denomination also offered suggestions for worship services, and sent a series of bulletins to churches telling them what they should be doing at each stage. The program was designed to be flexible, so churches could adapt it to local needs. Most churches used it on the suggested dates of September 29-30, but others chose other times. Some churches had open houses, car washes, church tours and barbecues. In the end, 195 of the denomination’s 326 congregations participated. About 600,000 Canadians call themselves Lutherans, but only about 200,000 attend church regularly. Lutheran Church-Canada has about 75,000 members, while the Evangelical Lutheran Church in Canada has about twice that number. Lutheran Church-Canada has more affinity to evangelicals, and is linked to Lutheran Church-Missouri Synod in the U.S. Most of the congregations have reported that the effort helped them make connections with new people, ranging from one or two in some congregations to 50 or 60 in others. These numbers included some inactive members who hadn’t been to church in years. Although it varied, most churches spent less than $750 on the event. Adnams said the denomination is now working on helping churches follow up on the contacts they have made, and on helping them do similar outreaches in future — on Reformation Sunday, Hallowe’en and Christmas, for instance. Adnams said inviting people to consider Jesus is something churches should have been doing already which some were; he also said this was never intended to be a one-time event. One church, which wanted to give out a brochure outlining all of its programs, found that it forced the program leaders to plan their ministries for the year far earlier than they ever had before. Another church had only a very modest turnout to its open house, but found that the volunteers waiting at the church for the visitors to arrive connected with each other and got to know each other in ways they never had before. Other churches found that explaining the architecture of the church buildings and the format of worship services to visitors helped church members understand the church’s worship far more clearly. Our Saviour Lutheran Church in Dryden, Ontario had exceptional results — but also put an exceptional effort into the outreach. Pastor James Wood said the congregation of about 130 had 50 visitors at its open house. The church offered a fish and bannock dinner (traditional fare for that community) after the Sunday service, and also offered a youth-oriented Saturday evening service. Wood also pastors two other small Lutheran churches in the area. The church in Dinorwic usually has attendance of 15-20 — but attracted 11 visitors. The third Lutheran Church in the area, St. Mark’s in Vermilion Bay, is holding its event Oct. 22. One of the reasons for the exceptional results in Dryden is that the church ran an Ablaze program last Easter. Members met in small groups for seven weeks to study the Bible, and were then encouraged to share their faith; 100 members took part in the small groups, and over the summer recorded 80 incidents in which they told someone else what Jesus had done for them. The September open house only encouraged them to keep doing, on a more organized basis, what they had already been doing.